I would like to thank all the pupils, staff and parents who made this event such a success. It was wonderful to see so many people come together to celebrate Art at Red House and the pupils should be rightly proud of their creations. The event was, of course, about more than just fashion and it was great to see the children brimming with confidence. The night was also intended to bring us together as a community and I enjoyed seeing many of you once again and selling you the odd cake or two! 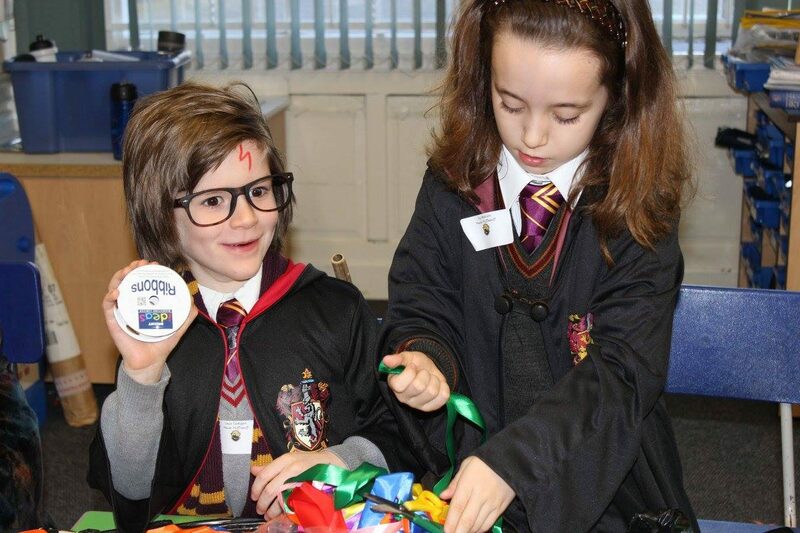 The Nursery & Infant School was totally transformed for our Harry Potter Day. I’ve never seen so many capes in one place and how wonderful to see round spectacles en vogue. These events only happen after a significant amount of planning and I’d like to thank colleagues for their dedication to the cause and their penchant for glitter. The staff in the Nursery & Infant School and the PTA have collaborated to produce a ‘designer’ bag, just in time for Mother’s Day. Please do support their hard work. Last night I attended an event at the Choristers School in Durham, where I was able to talk about the benefits of a Red House education; one of my favourite topics at the moment. I very much see Durham as ‘fertile ground’ for recruitment, with Red House as an alternative to larger independent schools. To that end, we will be running a bus service from Durham from September and I’d love you to spread the word. We are also considering extending one of our bus routes to Peterlee too; further details are available from Claire Bellerby. As many of you may know, Tony Makin is retiring from Red House after 33 years of excellent service. We had a very strong field of candidates to replace him (which is unusual for a Physics post) and I am delighted to say we have secured the services of Julie Gresswell. Julie is currently Head of Science at King’s Taunton, an independent school I know well. Whilst she may not be with us for the next 33 years, I am sure she will be a worthy successor to Tony.